And who would disagree with Miles Davis quoted above? It’s months off but Ahmad Jamal’s return to play a concert in this country is surely as good a reason as any to have at least one reason to be cheerful on this intermittently dank and typically autumnal Monday. 2012 has been pretty good for Jamal watchers even though the great man has been nowhere to be seen in the UK because in February the illustrious French record company and distributor Harmonia Mundi inaugurated a new jazz label Jazz Village partly in his honour with a Jamal album and Blue Moon more than lived up to even the highest expectations surrounding its release. Surely one of the greatest piano albums in and of the classic jazz tradition in the last decade it featured a stellar trio at its core specially convened for the session performing Jamal originals and choice standards. The great Pittsburgh-born pianist, who turned 82 on 2 July, along with Frank Sinatra counts as a seminal influence on Davis, with Miles typically going out of his way to catch Jamal’s shows when he was passing through Chicago. But besides this historical link Jamal through his Pershing recordings created at the Pershing Lounge from 1958 where the pianist laid down his best known recordings along with bassist Israel Crosby and drummer Vernel Fournier that not just sold in very large numbers but also provided a snapshot of a music that would be changed irrevocably in the years to come by such innovators as Cecil Taylor, the free jazz movement and its socio-political and cultural consequences, and later by the demands and challenges of jazz-rock. Miles being a scholar of the music from a strictly bandstand point of view would incorporate Jamal’s treatments of ‘But Not For Me’, ‘Billy Boy’, ‘The Surrey With The Fringe On Top’ and more besides into his own repertoire, while at the same time realising intuitively that a milestone had been reached, a there-is-no-turning-back moment and above all a realisation that jazz piano would never be the same again. Jamal, as a master of improvising on standards and original song-based material, in performance can take on the mantle of an Erroll Garner at times as a starting point and layers hugely impressive rhapsodies and serenades almost at the drop of a hat. He’ll quite often, gaffer-like, stand up by the piano, turn his back to the audience to communicate further with the trio, and then sit down to resume the flow. With an extensive discography since the 1950s, in more recent years with the French Dreyfus label, Jamal has a big public across Europe particularly in France and Germany and although he was a fairly regular visitor to the UK in the past it’s now almost five years ago since his last appearances, sadly at an inexplicably poorly attended Ronnie Scott’s when he nonetheless played immaculately. 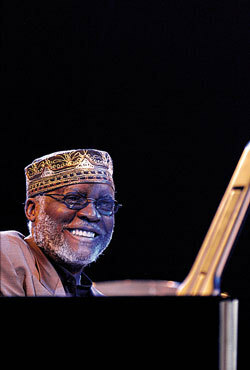 Jamal was honoured by the French government becoming an officer of the order of arts in 2007, and has received many more honours over the years in the United States. Blue Moon features the elegant bassist Reginald Veal, well known for his work with Wynton Marsalis, and more recently Cassandra Wilson; plus the formidable New Orleansian Herlin Riley on drums. They are also joined by former-Weather Report percussionist Manolo Badrena, who has toured with Jamal extensively in recent years. 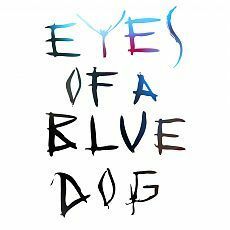 Taking its name from a story about “active dreaming" by Gabriel Garcia Marquez, Eyes of a Blue Dog is set to debut Rise on Babel Records although the band’s release date is to be confirmed. The Dog, as they surely will be known (?! ), are a three-piece vocals/trumpet/drums electronica band filtered via 1970s Milesian metafunk and the release is surely a winner if early advance listens are anything to go by. The femme fatale vocals (particularly On ‘Reject the Rhapsody’) add a slightly disturbing edge to the direction of the playing in keeping with one of the characters in the story the band takes its name from and tunes are more industrial than say what Bob Belden is doing. The title track has a kind of updated downtempo feel with the matter-of-fact voice of Nygård-Pearson a feature on some but not all tracks. Intriguing. People who like and even love jazz, despite what a few purists think, actually like other music “as well as" the word with four letters rather than, in curmudgeon-speak, “instead of" it, as if they’re giving up being a member of a club that they don’t actually have to be a member of in the first place. 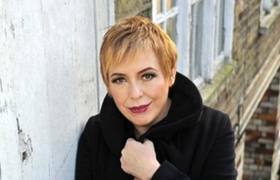 Well, Barb Jungr is a singer who many jazz people really like and work with, and it’s not at all surprising as there is an integrity, musicality and liveliness about what she does although she couldn’t really be called a jazz singer, her music just runs parallel to it. She can take the odd wrong turn though and I personally did not warm much to her Dylan or Elvis albums, but completely agree that her forte is in chanson or related material of which she is a subtle and knowledgeable interpreter. Certainly, she has a strong reputation in this area, but her eclecticism I suppose means that people who like her approach dip in and out depending on the angle she chooses for her latest project. 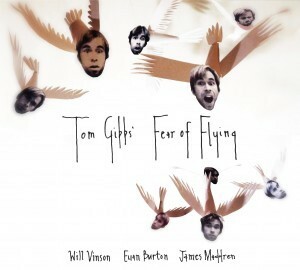 The title of this enjoyable record refers to pianist Tom Gibbs’ recently acquired nervousness about taking to the skies on a plane ride, that’s what becoming a father he says did to him. Being a dad also inspired the two-part second track here named after his daughter. Family man Gibbs is with the much touted sax player Will Vinson, bassist Euan Burton, and Kit Downes Golden Trio stalwart James Maddren. It’s highly proficient, likeable, and at the melodic end of the spectrum, although there is plenty of improvising going on. What is distinctive is the sincerity at work, the characterful soprano saxophone lines in particular from Vinson, Maddren keeping the pot boiling and I really liked the bass solo on ‘A Little Something’. 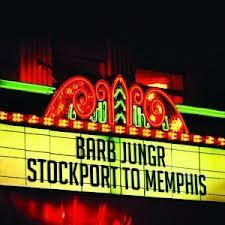 Great title, that track, even better solo, a kind of sub-plot to the main tune. Glasgow-based Gibbs, who was mentored by John Taylor at York university, is certainly worth keeping an eye out for at a jazz club near you. He is his own man, although like so many he owes a small debt to Brad Mehldau, who is fairly indirectly referred to at the beginning of ‘The Smile That Never Forgets’, when Euan Burton channelling Larry Grenadier bounces Gibbs into a friendly familiar riff that allows Vinson scope later. The later track puntastically called ‘Daily Brad’ is possibly up Mehldau’s alley some more as well. You don’t have to be a Sherlock Holmes to work these things out, although maybe the track is a homage to that fine guitarist Brad Shepik or a Hieronymous Brad with unknowable and mysterious merit. 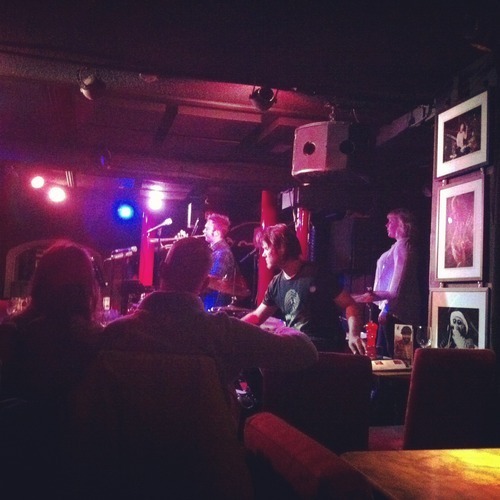 Gibbs is worth hearing, so watch the local papers or online for news of Gibbs’ next gig. Going to hear him on this evidence is definitely preferable to walking the dog, watching TV, or playing darts down your local, apparently a growing pastime in some parts, and this record similarly hits the bullseye in its own sweet way.